This page is funded by LITC Grant. The IRS will begin releasing EITC and ACTC refunds starting February 27, 2019, but the IRS cautions that you may not have the refund deposited into your account or on your debit card until the week of February 27. For more information about the 2019 tax season, click here. Read more about refund timing for early EITC and ACTC filers at www.IRS.gov. Need to track the status of your refund if you claimed EITC or ACTC? Where’s My Refund? on www.irs.gov or the IRS2Go mobile app are the best ways to track it. Expect updates on your refund a day or two after February 15. 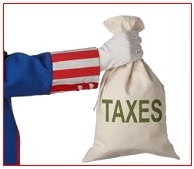 Visit the IRS YouTube Channel for tax help videos. Can You Claim a Relative? Can You Claim Your Child? Do You Owe Income Tax from a Tax Return Filed with Your Husband or Wife? Get Extra Money or Pay Less Tax with the Child Tax Credit! Private Collection Agencies - Can Someone Other than the IRS Collect My Federal Income Tax Debt? Unsure of What Filing Status to Use When Filing Taxes? You Owe the IRS Money...Now What? If you use a paid tax preparer to file your federal income tax return this year, the IRS urges you to choose that preparer carefully. Even if someone else prepares your return, you are legally responsible for what is on it. The Earned Income Tax Credit (EITC, or EIC) puts money back into the pockets of qualifying low- and moderate-income working taxpayers when they file their tax returns. Higher income limits and credits this year mean more filers will qualify for the EITC, and those who do qualify will get a bigger check.